Today, the Church uses priest and temple vestments of various colors. There is even a full-fledged system of liturgical colors where each holiday has a prescribed color. Where does this practice come from? 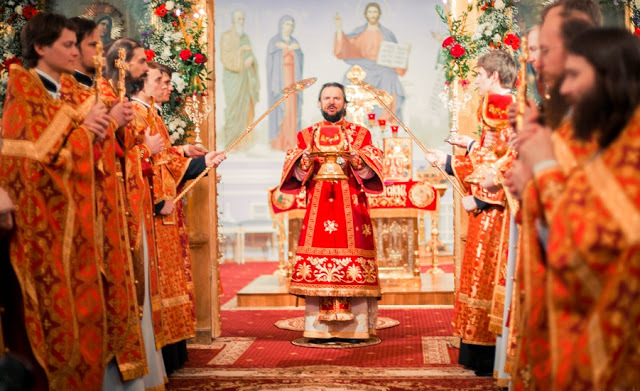 Originally, all vestments were white, based on the following verses from the Revelation of St. John the Theologian, “[the righteous] have washed their robes, and made them white in the blood of the Lamb” (Rev. 7:14). White vestments are mentioned by St. John Chrysostom and St. Gregory the Theologian. Worship development saw the use of vestments of other colors. However, the number of colors and their practical usage was different in various places. According to St. Symeon of Thessalonica, just two colors—white and purple—were used during the late Byzantine era. Eugene Golubinsky, a Russian church historian, writes that the early Russian Church inherited that practice, too. 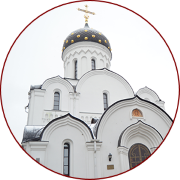 The Church in Russian lands used only three colors—white, crimson, and yellow—for a long time. White was used on Sunday, great holidays, for baptisms and funerals. Yellow was the color for ordinary services. Clerics wore crimson robes mainly during the Great Lent or on holidays dedicated to the Lord’s Cross. However, this system had quite a few caveats, too. If there was a richly adorned set of vestments in a cathedral, they used those vestments even if they weren’t of the required color. The Typikon, compiled in mid-17th century, contains just two rules regulating vestment color: Priests have to put on white vestments on Great Saturday before reading the Gospel during the Liturgy; and they also must wear “all-brightest robes”, i.e., all white, on Easter Day. 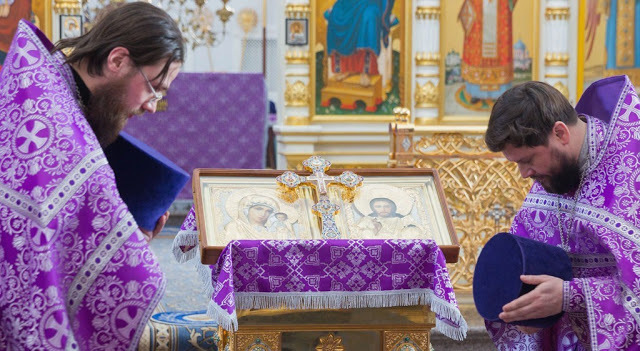 We find one more rule regulating the color of clerical robes in the Lenten Triodion: “the priest changes his robe at the Vespers when Lord I Have Cried is being sung, leaves the sanctuary, and censes the church.” Thus, rubrics don’t specify how exactly this or that color is to be used. A more or less consistent system of liturgical colors in Russia emerges only in the 17th-18th centuries due to growing Western influence. The final five-color system was approved by Pope Pius V in the 2nd half of the 16th century. It was due to Roman Catholic influence that the idea of various colors corresponding to various holidays gained traction. Nevertheless, there wasn’t a unified system until the 20th century. 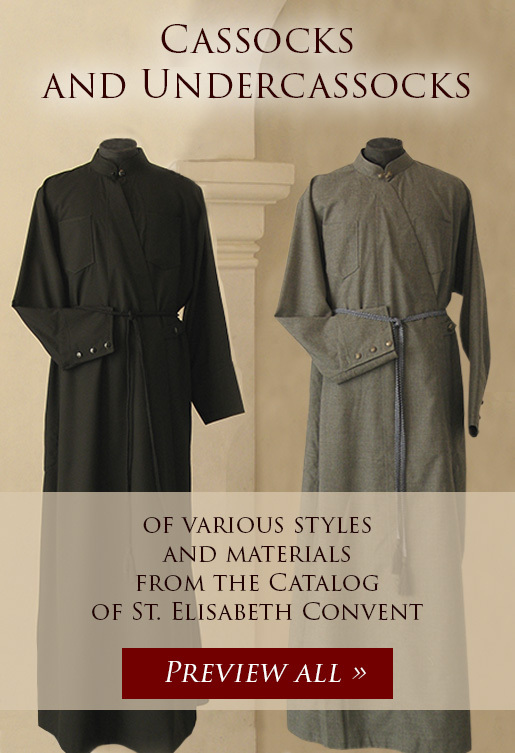 Each bishop or monastery had their own system of liturgical colors. We know of a system developed and used by Saint Philaret (Drozdov). 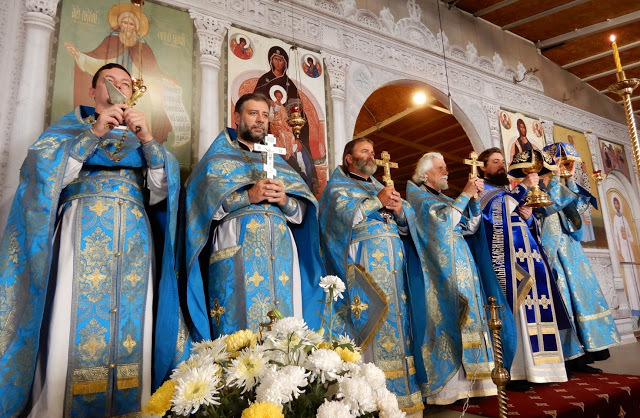 For instance, Saint Philaret used blue vestments on Sundays of the Great Lent, on Great Thursday, on Christmas and Theophany Eve. He celebrated Easter Matins wearing red vestments, and Easter Liturgy and all services during the Bright Week in white. Similar approaches were practiced in monasteries, too. 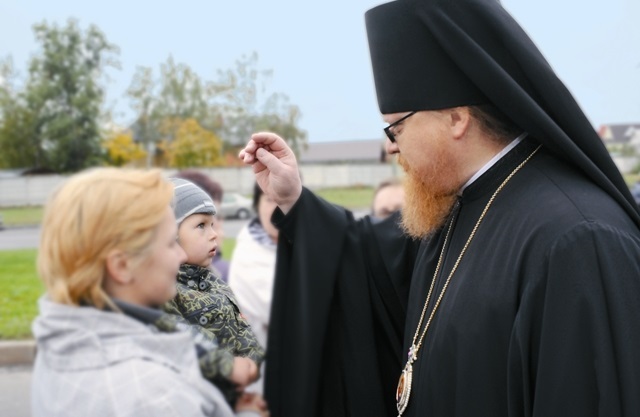 St. Sebastian of Karaganda, heir to Optina Elders, described the pre-Revolution practice in Optina Pustyn. He remarked that red was the ordinary color, green was used on lenten days, and blue was used on days of commemoration of holy monks. It was only in the 20th century that the system of liturgical colors gained its contemporary form and was recorded in the Clergy Handbook. Notwithstanding this fact, some dioceses and parishes still use their own color system. 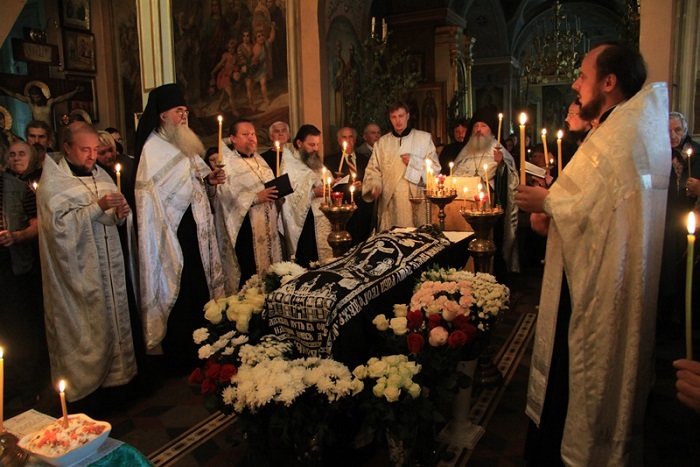 Other Local Orthodox Churches may have different color systems or have no designated liturgical colors at all (e.g., Greek Orthodox Church). 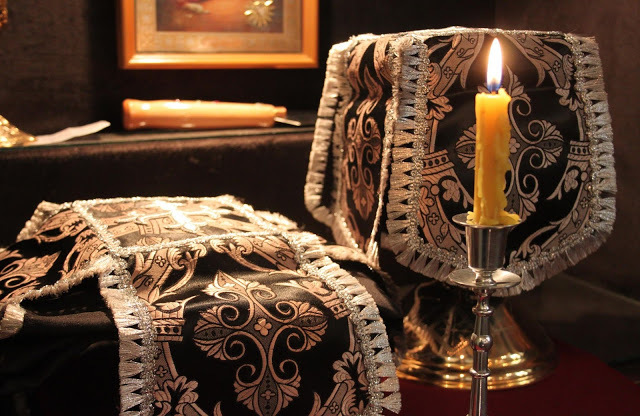 The Orthodox in various countries use vestments according to their local customs and traditions.